Germany is the fourth largest economy in the world and it is biggest in the European Union. It produces the finest and the latest machinery, electrical, chemical and even information technology. Germany is a growing place for doing jobs and building career overseas. If you aspire a career in Germany, learning this language will be a cherry on the cake. Added to all this Germany is the second most scientifically used language. Learning any other language even enhances your CV. One unknown fact is that German tourists are the ones who spend the most on their holidays. The idea of becoming a German tourist’s guide also brings up a lot of income. This language is even spoken in Western, Central, and Eastern Europe. Added to all this, German qualifies to be one of the official languages in the European Union apart from French and English. India a hub for German MNCs such as Bajaj Allianz, Henkel, Daimler Chrysler, Adidas Marketing, the BOSCH Group, BASF, Carl Zeiss and, several others. Interestingly one in every ten books is published in this language. Having seen how a learning a language like German can open so many doors for you. 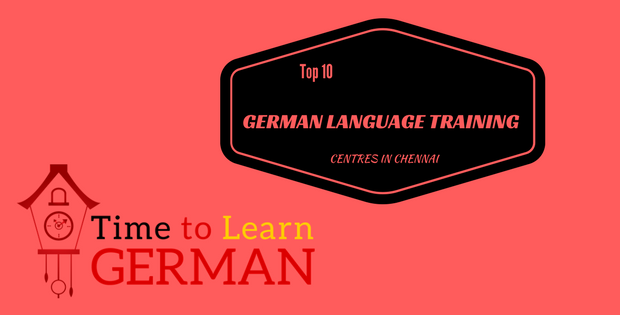 In order to save your time and efforts in searching german classes in Chennai, we bring to you the “TOP 10 GERMAN LANGUAGE TRAINING CENTRES IN CHENNAI”. We have ranked them on the basis of their experience, service, brand value, and awards received. FITA stands for Focus’d IT Academy and the professors here have an experience of about 10 years in leading Multi-National companies. The professors have a real life experience of dealing with German clients. Till date, they have trained more than 500 students. The training is provided through audio labs, video clippings, and visual charts. Added to this the most important element in their course is the interactive sessions. Through these activity based sessions learning becomes a lot easier irrespective of the age of the student. The course is divided into 6 levels. One can choose either online or classroom training program. Syllabus at FITA is based on the globally recognized syllabus of Common European Framework of Reference for Languages (CERN). They have 100 percent success rate for A1Certification, A2 certification, and B1 Certification. EnglishLabs is been originated in the year 2015 and serves lots of students since then. They provide the best German Classes in Chennai as they have professional trainers in the field for many years. 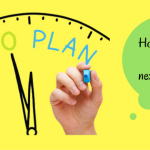 EnglishLabs provides flexible timing making it more easy for students to select them. Classes available on both weekdays and weekends and the timing is scheduled according to the student’s flexibility. It is best to choose EnglishLabs if you want to learn a new language. Goethe Institute has an experience of more than 60 years. Course at Goethe institute is divided into three categories extensive, intensive, and super intensive. One can choose any of these on the basis of their requirements. The extensive course is a 16-week course with classes twice weekly. It will have five sessions per day and in total 120 sessions of 45 minutes each. The intensive course is a 12- week course with 5 classes weekly. It will have three sessions per day and in total 160 sessions of 45 minutes each.The super intensive course is a 5-6 week course with 5 classes weekly. It will have five sessions per day and in total 160 sessions of 45 minutes each. In order to make things more convenient, they have both evening courses and weekend courses too. Language Lab is an institute that was established early this year. Language Lab believes in giving a fun yet efficient classes to students with a cultural touch. The instructors and speakers all speak in the native language to make things easy for students. Their courses are built on four fundamentals, that is, listening, writing, reading and speaking. The course is divided into 5 levels with 46 hours for each level. The duration of each level is 2 months. Classes are held both on weekends and weekdays. It is a certified course and maximum students that can enroll for each level is 15. Communiqua believes in the fact that ‘communication and impression go hand in hand’. Being professional they make sure that they add a friendly touch to their classes too. Their courses are flexible as they agree to tailor their program according to your requirements. They have courses for young children and adults as well. They provide both weekends and weekday classes and duration of the class varies from two and a half hour to three hours. They even have the facility for online training programs. Online training for German is a 50-hour program. Purasaiwalkam, Chennai – 600 010. IICT is a training and placement company in Chennai and they have a team of MNCs with an experience of more than fifteen years. German coaching at this center starts from the basics and goes to advanced. They provide training as per international standards and have in total 6 levels. They have regular, weekend and fast-track batches. The duration for regular classes is 60 days, the weekend class is a15 weeks course and fast-track classes is a maximum of 30 days. Let’s Speak was established in the year 2008. It aims to help people from different backgrounds to have a quality education. They provide flexible timings with low fee structure and quality education. They believe in the practical mode of training and give major emphasis on listening, speaking, reading, and writing. In total there are six levels in the course. The cost for each level individually ranges from Rs 10500 to Rs 17500. They believe in changing with the requirements of the students so that best service can be delivered to them. At Lets Speak there is no specific duration for any course. They teach till the student requires help. Sprachlingua approach towards providing training is without books which are quite unique and different from others. They provide training for beginners as well as professional level. Added to this the most unique and distinguishing feature is that they provide training for few hours too for those who have business-related work urgently. Their professors have an experience of about 10 years. They even conduct exams at regular intervals to see the progress of the student. This exam is usually taken in form of a presentation to make it highly flexible and interactive. They believe in teaching the art of communication and the importance of confidence more than just teaching the language. 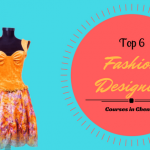 They provide five types of courses like beginners, school students, college students, experts/professionals, crash course, and private – one to one classes. The course duration for beginners is 20 hours, school students are 40 hours, college students is 80 hours, experts/professionals is 150 hours, the crash course is 2 weeks, and private – one to one classes is altered according to requirements. Truematics is one of the leading overseas education consultancies in Chennai. Like other institutes, TRUEMATICS have different courses for beginners and professionals as well. Their mode of training is through audio and video clips and even interaction based to make the session fun and interesting. The Intensive German course is for a duration of 80 hours and has classes for both weekends and weekdays. They give individual attention to each student and the batch size is not more of five students. They provide German textbook material, Interactive learning programs, and free study abroad counselling. Chennai – 600034, Tamilnadu, India. Bright Training Centre is an institute which started teaching foreign languages a decade ago by the idea given by Dr. Ishrath Naz Ara. They provide many courses including fast-track, short-term, long- term, one-to-one teaching, regular course, and even script based. To make things more comfortable for students they provide class timings as per their request. They provide training to corporate sectors and even drop-outs. INaWORD institute was set up in the year 2000. It trains students from beginner to advanced level with the aim of providing a high-quality training. The batch size is small and classes are kept interactive. They focus on learning different foreign languages through discussions, role play, and other interactive methods. INaWORD provides two types of courses for the German language, that is, INaWORD Flair and INaWORD Affinity. INaWORD Flair is a course for adults specially designed for learners from different backgrounds like entrepreneurs, college students, housewives, and others. They even provide training for international exam START DEUTSCH A1 & A2. This course can be delivered on a one to one platform or in a small group. In this course, training is delivered for 5 to 6 hours per week. Added to this another option of 10 hours classes per week is even available. The course INaWORD Affinity is a course designed to meet the organizational requirements. The course covers both short-term learning which are very basic and long-term training. The other aspects covered in this course are how to greet clients, meeting etiquettes, dress codes, dos and don’ts in social and business situations, and many such minute details. I was in search of German Language Course in Chennai and my friends suggested this page. Later i joined Fita academy, i was quite comfortable and happy. My trainer was so good, she cleared all my doubts. I must thank this page for the information which was helpful to identify the best institute which is near me.